Other information: Would do best as an only cat. 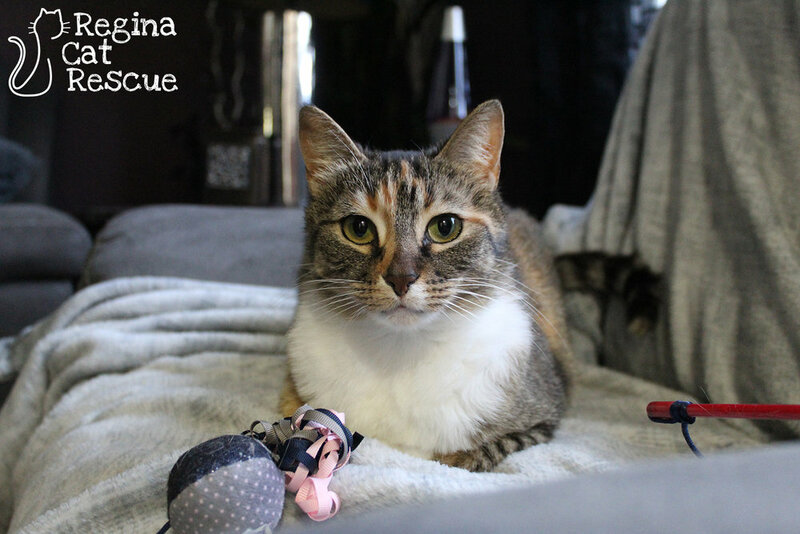 It was a chilly winter day when a long-term Regina Cat Rescue foster home discovered that a beautiful cat was sheltering in her yard, shivering under the barbecue cover and hunkering down anywhere that provided some shelter from the wind and cold. Once safe inside, Mittens turned out to be a mature spayed female who went unclaimed. Mittens is a quiet, gentle and loving cat who enjoys people but who is not cut out for life in a multi-pet home. Mittens is not at all aggressive but she is easily intimidated by other cats and would be super happy to be the only cat in a home! She isn't demanding at all, but is just happy to accept whatever love and attention she gets. Mittens is a lovely and sweet girl with lots of love left to give to the right adopter. 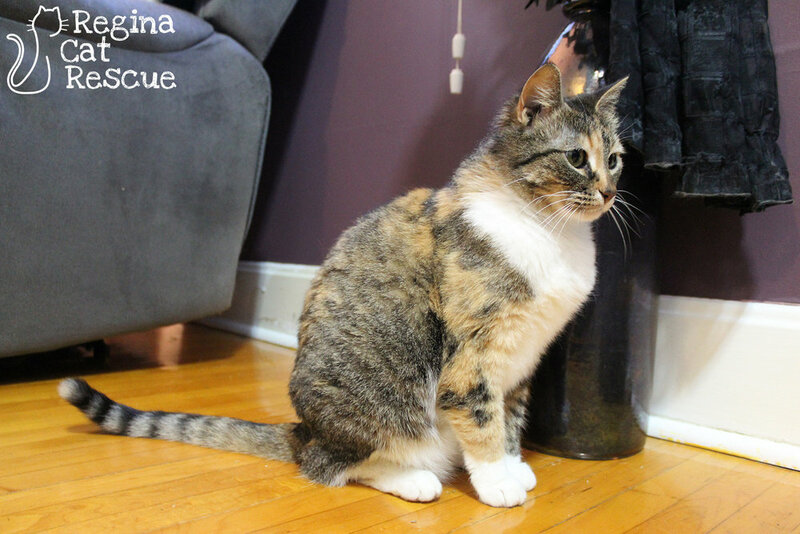 If you are interested in Mittens, click here to view our adoption contract and click here to complete an adoption application or email the RCR Adoption Coordinator at adoptions@reginacatrescue.com for more info.